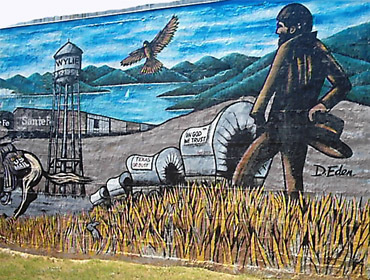 The City of Wylie was incorporated in 1887 along the rights-of-way of the Gulf, Colorado and Santa Fe Railroads. It was named for Colonel W.D. Wylie, a Santa Fe Railroad official and Civil War veteran. By 1890, Wylie had a population of 239. And the first one-room school was built in 1890. From 1890 to 1900, population grew by 300% and other elements came to town (banking, two-story schoolhouse and gins). In 1920, Wylie received electrical service and streetlights. Ballard Avenue was graveled in 1923. Wylie enjoyed the self-proclaimed “onion capital of the world” title in the 30’s and 40’s. “Wide Awake Wylie” became the city’s nickname in the late 40’s and 50’s for the late night get-togethers of citizens in which businesses stayed open until midnight on some nights. In the late 70’s, Wylie began to receive some of the D/FW growth. Specifically in the 80’s and 90’s, Wylie’s population grew significantly. The 90’s also saw two major catastrophes. On Mother’s Day in 1993, a tornado hit Wylie. In December 1998, two fires (one on the 9th and another on the 11th) destroyed and/or damaged a dozen or so businesses. The city and citizens used this to revitalize downtown. In the 21st Century, Wylie has become one of the fastest growing communities in Collin County, DFW Metroplex and the State of Texas. With that growth, the City has made a transition from “bedroom” community to a “balanced” community combining quality residential living with a healthy business climate. Since 2000, the city has grown by 109.3%, making it the eighth fastest-growing city in the nation.